TEHRAN (Tasnim) – Saudi dissident journalist Jamal Khashoggi, who was killed on October 2 in the Saudi consulate in Istanbul, might have lost his life for disclosing Riyadh’s funding of an anti-Iran UK-based TV channel, the British daily Guardian suggested. 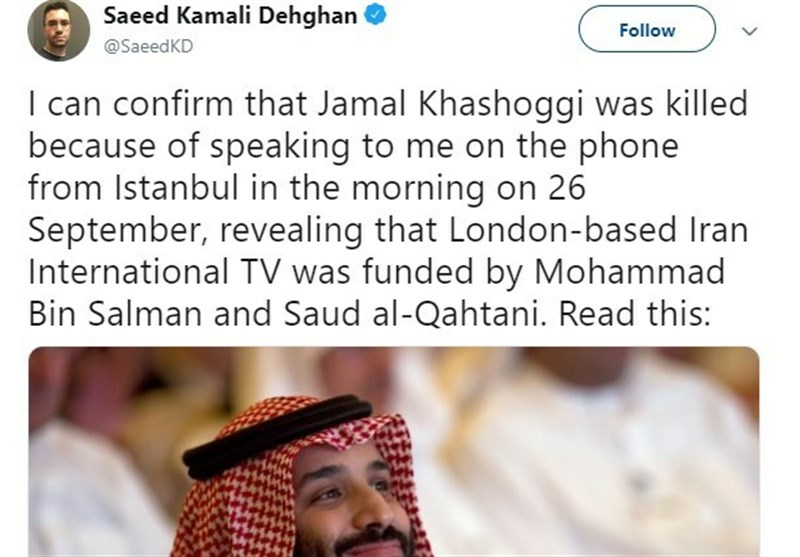 Now the Guardian correspondent, in a Friday tweet, has revealed that his source was Khashoggi, the Washington Post columnist who was assassinated on the same day as the report was published in a premeditated murder in Turkey blamed on Saudi Crown Prince Mohammed bin Salman also known as MBS, Press TV reported. The Guardian later quoted the same source as saying that the Iran International was being funded through a secretive offshore entity and a company whose director was a Saudi Arabian businessman with close links to bin Salman. 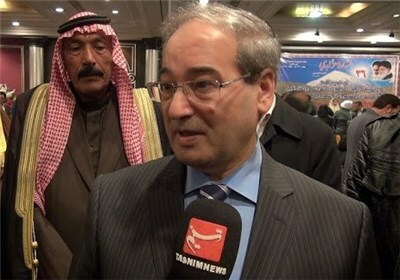 Earlier this summer, the station came under fire for praising a terrorist attack in Iran’s Ahvaz and broadcasting live coverage of a rally by the anti-Iran terrorist group Mujahedin Khalq Organization (MKO).